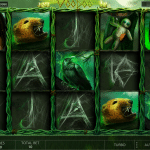 Endorphina is a slots developer that takes a unique approach to carve its own little niche in the hyper competitive world of online slots. They are one of the only modern software studios that still produce eye-catching slots relying on old-fashioned artistry rather than just pumping their games full of 3D characters. This approach makes Endorphina slots identifiable at a glance based on their looks alone. 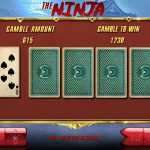 Sure, there are plenty of other slots games out there that do not look like something made by Pixar, but most 2D slots providers are simply outdated. Endorphina is not outdated or plain by any stretch. In fact, their games are very much easy on the eyes with an art team that makes great use of graphics and colour schemes that draw you in. There’s another way in which Endorphina is different, and that is in their choice of themes. Endorphina does not follow the beaten path of “safe” themes that we’ve all seen a hundred times from other software providers. Endorphina does have a few tried-and-true themes, but a lot of their games are so random that you can’t help but shake your head as you click the “play” button. A portion of Endorphina slots borrow heavily from the best and worst of popular culture. Just a few examples include an emoji-themed slot, a vaping slot and one based on twerking. Yes, Endorphina holds the proud title of having released the first-ever slot themed after a style of dancing that involves a whole lot of booty shaking and not a whole lot of clothing made popular on social media. They even have a slot themed after gladiator fish. Not all of their slots are quite as crazy as the examples provided above, but hopefully it makes the point that Endorphina is not afraid to try things that are wild, random and weird. The thing is, their artwork and expert use of colour schemes make even the most random games a pleasure to look at. 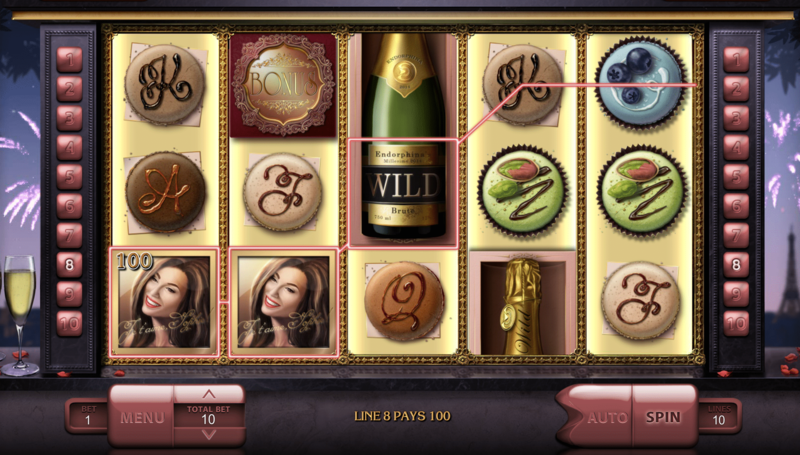 Who would’ve ever imagined that slots based on e-cigarettes or French pastries (Macarons) could be so pleasing to see in action? If for nothing else, Endorphina slots are worth a look just out of curiosity alone. 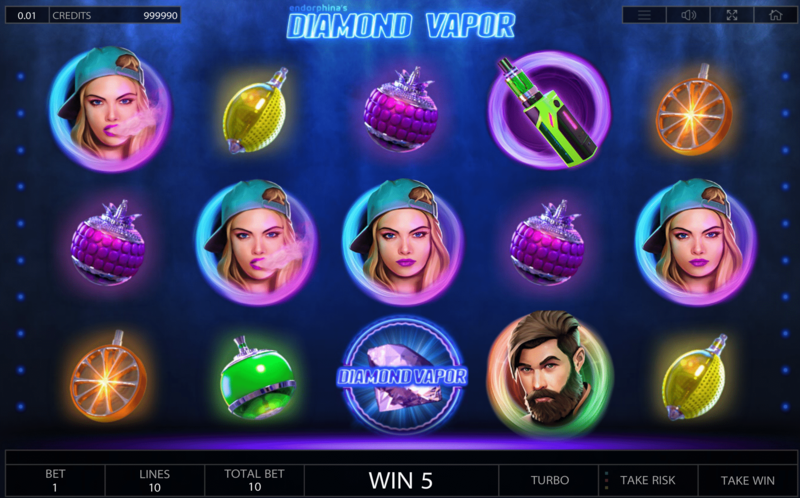 When I first saw they had released a slot based on vaping, I couldn’t help but give it a few spins to see how on earth they could have made such a game. Turns out, it was actually pretty entertaining. Endorphina games have a reputation among players for being of medium-to-high variance. This means they do not offer frequent small payouts but instead offer larger payouts that hit less often. 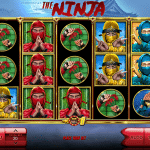 High variance slots can be terribly frustrating if you like to have a constant stream of positive reinforcement, but patient gamblers are rewarded handsomely with big paydays and free spins features that include hefty multipliers. 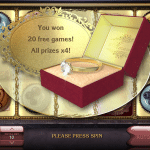 So far, every Endorphina slot that I have tried for myself has included a double-or-nothing feature that can be activated after every winning spin. The basic concept behind the double-or-nothing feature (which they simply call “risk”) is you always have the option to play a simple 50/50 game in which your winnings are either doubled or reduced to zero depending on the outcome of that game. Most games of risk are played using a simple hi-lo card game. 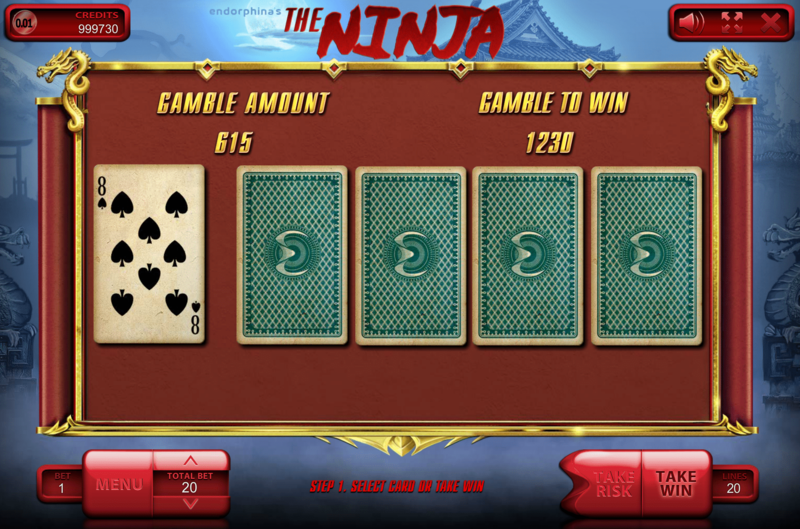 That is, the slot opens a bonus game in which one card is drawn at random from a deck of 52 cards and four cards are dealt facedown. You then pick from one of the facedown cards and if your chosen card is higher than the one drawn by the casino, your winnings from the previous spin are doubled. If your card is lower than the casino’s card, you lose your winnings. Some games do have unique double-or-nothing features. 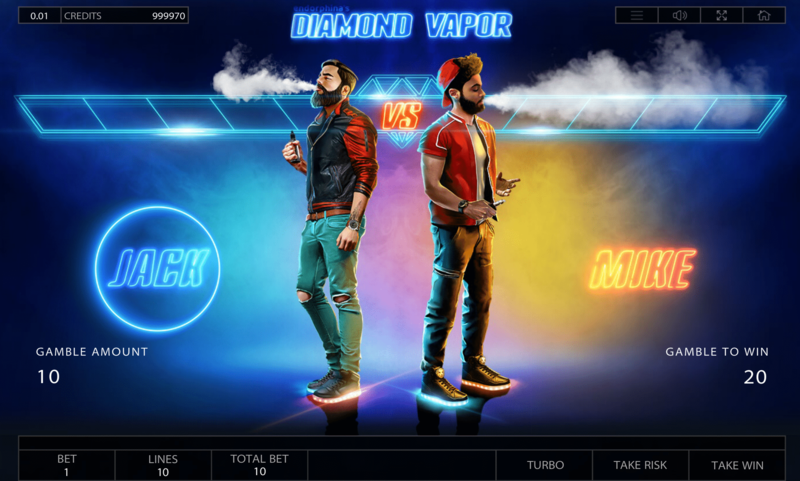 For example, the risk game in Diamond Vapor shows two men standing back to back with e-cigarettes in hand. You pick one character and then the two have a contest to see who can blow the biggest cloud of fruit-flavoured vapor. 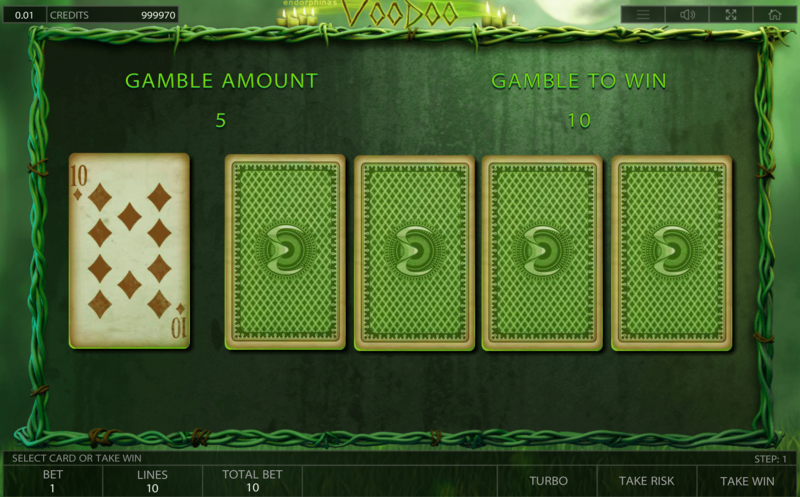 If your character’s smoke cloud extends farther, your winnings are doubled. Some Endorphina slots come with additional, unique features that aren’t often seen elsewhere. 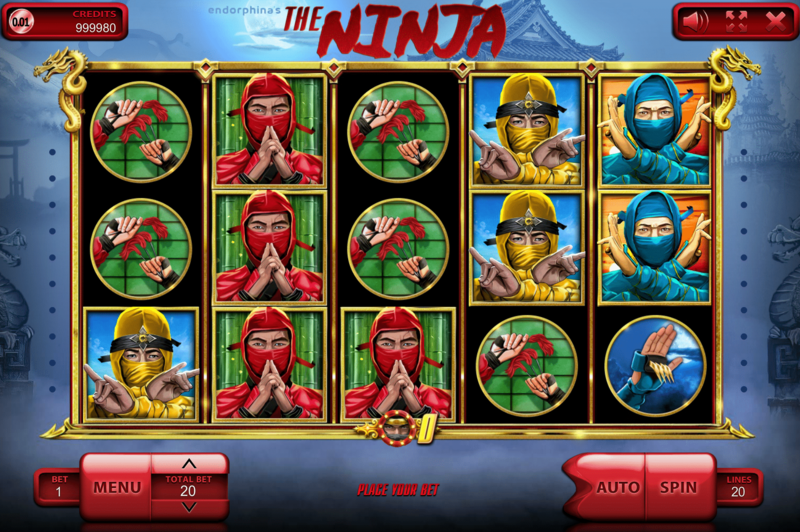 In The Ninja, for example, you collect wild symbols over the course of the game whenever two or more ninja symbols show up. 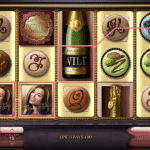 These wilds accumulate over time until you trigger a free spins feature. 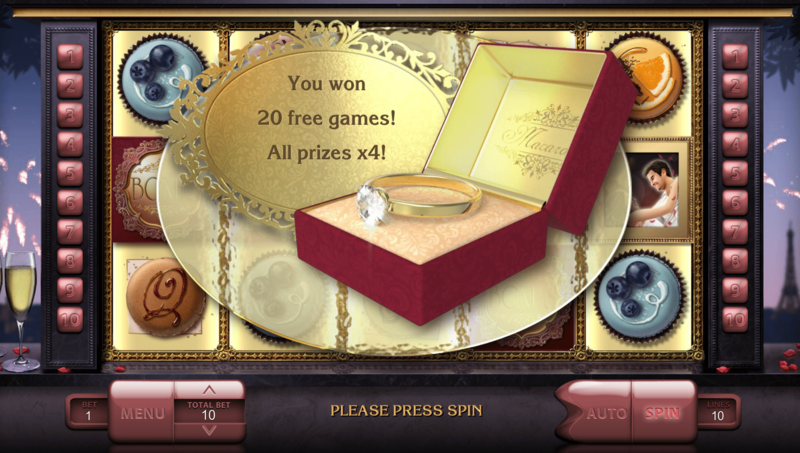 When you enter the free games feature, all those accumulated wilds are released to the reels for the duration of the free spins feature. Satoshi’s Secret has a very involved bonus game which will put you to some tough decisions as you decide whether you want to book your significant wins now or put them at risk for a chance at a much larger prize. 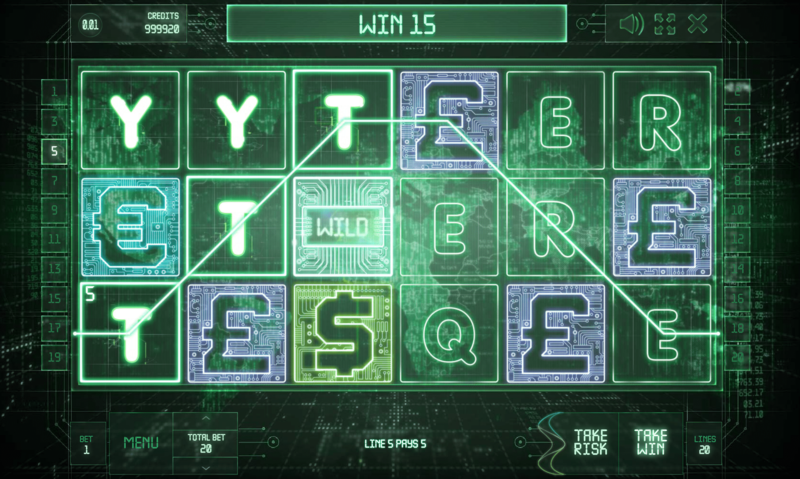 Four bitcoin symbols unlock the trading bonus feature which gives you the option to either collect a 30x payout right now or use those 30 bets in a 3×3 mini-game which simulates currency trading with fluctuating values that can either turn in your favour to ramp up your wins or turn against you to put your original winnings at risk. 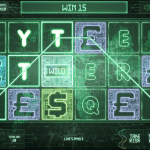 If you see the symbols QWERTY appear in that order in any single payline, a second bonus game is initiated which places you in the role of a hacker trying to break into protected bank account and take everything they have to boost your winnings. Each account on the screen has a different level of security, with the biggest accounts being the most difficult to crack successfully. Below are screenshots from a random sampling of Endorphina games. This is by no means a comprehensive showcase of their slots lineup, but it does show the genera. art quality you can expect from Endorphina titles. 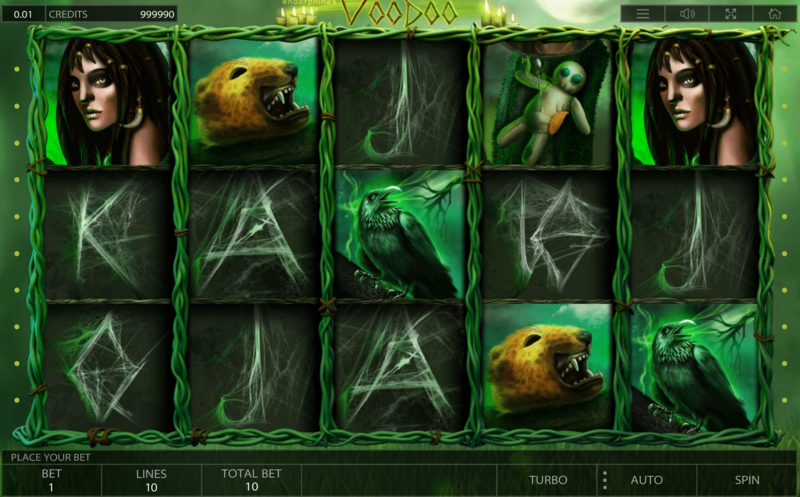 Endorphina is still an up-and-coming software studio that hasn’t yet had its games placed on any of the really big, international gambling sites. Endorphina is definitely making progress among small-to-medium casinos and Bitcoin gambling sites. 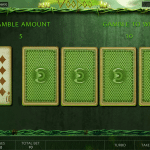 We notice that Endorphina has an especially strong presence among bitcoin gambling sites. They have a good relationship with the concept of bitcoin in general and even have a bitcoin-themed game called Satoshi’s Secret. Endorphina has even paid out jackpots in excess of 120 BTC in the past, which was equivalent to nearly £120,000 at the time.